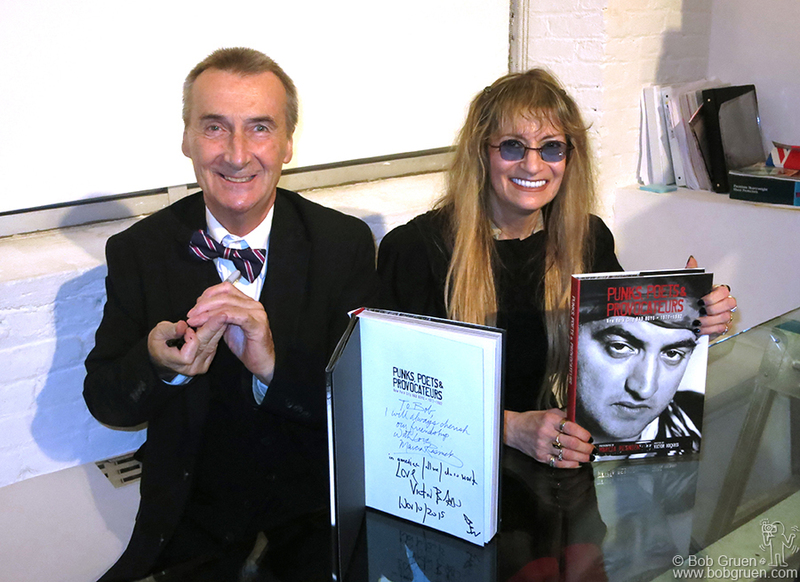 Nov 10 – NYC – Victor Bockris and Marcia Resnick celebrated the publication of their book, “Punks, Poets and Provocateurs” at Howl Gallery. 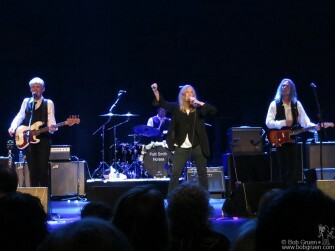 Nov 10 – NYC – Patti Smith Group performing a complete live version to celebrate the 40th anniversary of her album “Horses” on stage at the Beacon Theatre. 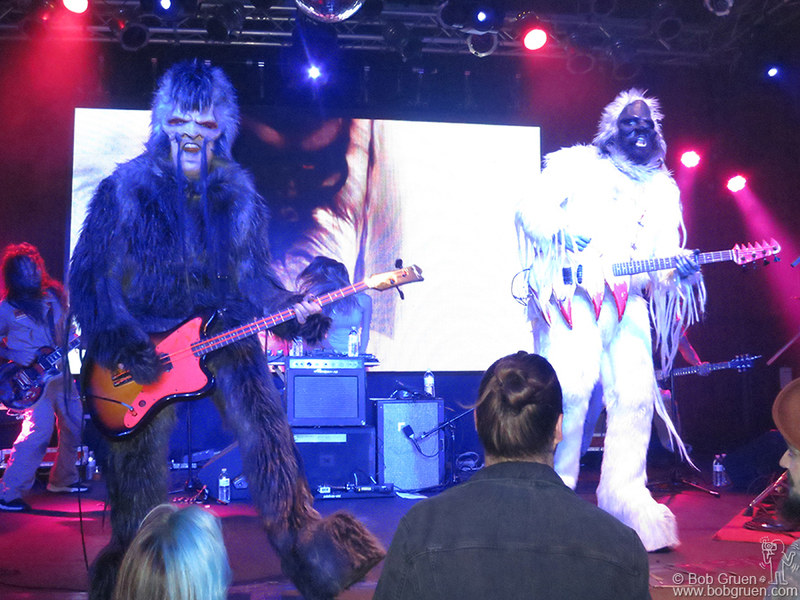 Nov 11 – NYC – The very funny and monstrous PPL MVR on stage at the Highline Ballroom. 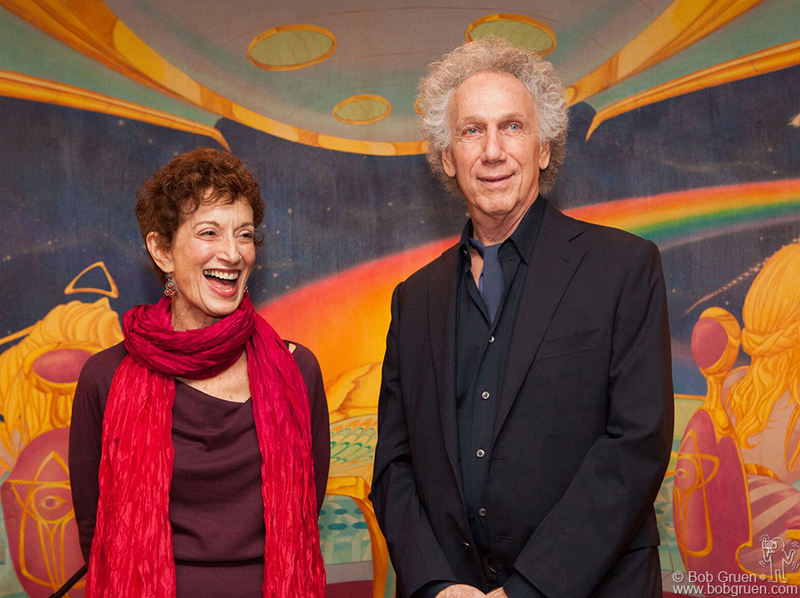 Nov 12 – NYC – Carol Klenfner and Bob Gruen talked about the Rolling Stones ‘Exile’ tour of 1972 at a party for the release of the Jose Cuervo Rolling Stones label tequila at Electric Ladyland Studio. 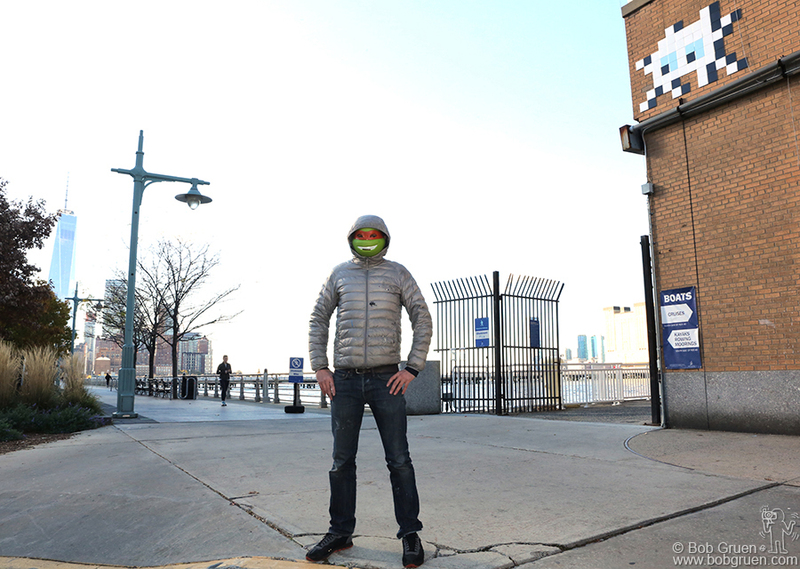 Nov 23 – NYC – World famous graffiti artist Invader posing in front of his work at Pier 40 on the Hudson River. 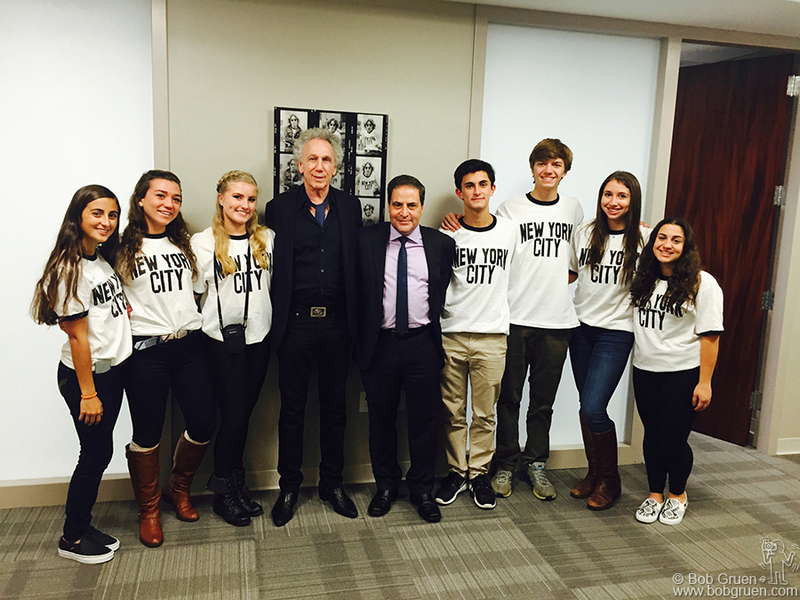 Nov 19 – Florham Park, NJ – Bob Gruen with Anthony Sylvester and kids during a party unveiling a collection of Bob’s work being displayed at the law offices of Sherman Wells Sylvester and Stamelman. Dec 17 – NYC – Details magazine editor Stephen Saban with his daughter Chloe Saban-Mayor during Stephen’s 70th birthday party at the Continental. 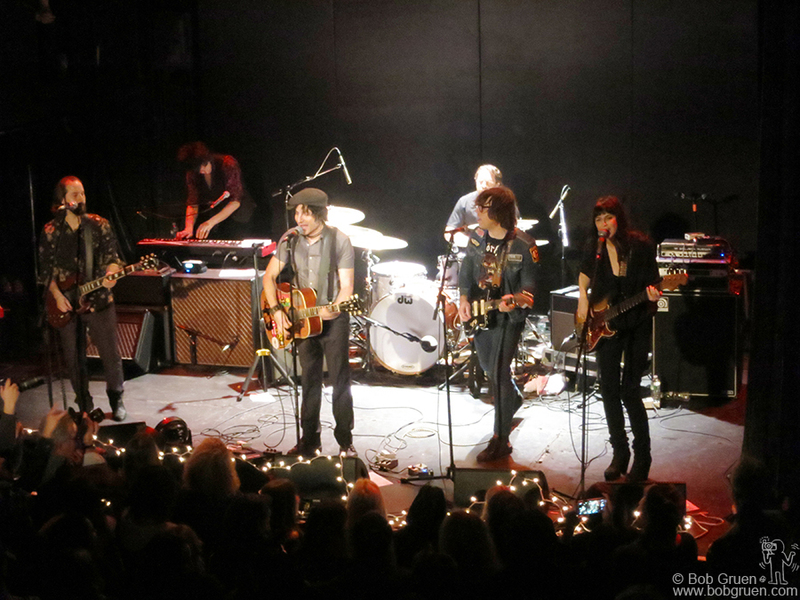 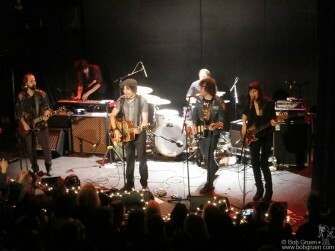 Dec 29 – NYC – Ryan Adams joined Jesse Malin and others on stage at Bowery Ballroom a few days before the end of the year. Dec 31 – NYC – Jesse Malin and Billie Joe Armstrong hosted a secret New Year’s Eve party at Berlin on Ave A and were joined onstage by Steven Van Zandt. 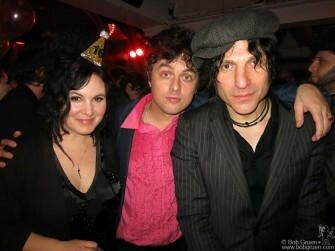 Dec 31 – NYC – Adrienne and Billie Joe Armstrong and Jesse Malin ring in the New Year at Berlin. 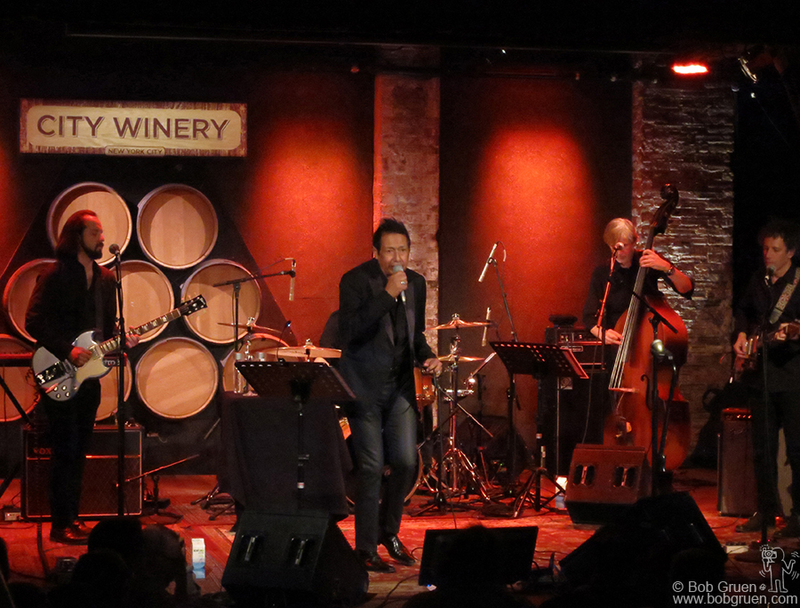 Jan 21 – NYC – Alejandro Escovedo and his band played a set of Lou Reed songs at City Winery. 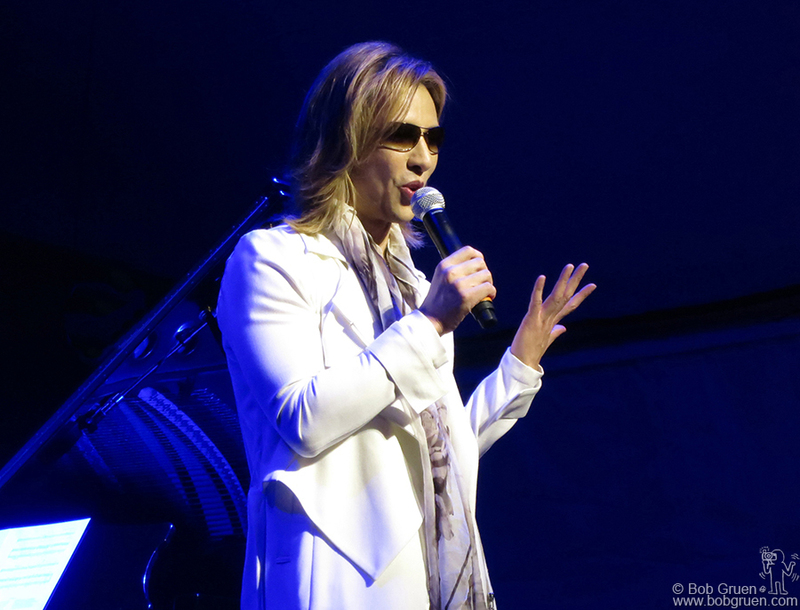 Jan 22 – Park City, UT – Yoshiki Hayashi of X Japan on stage at the Sundance Film Festival to promote the band’s new film ‘We Are X’. 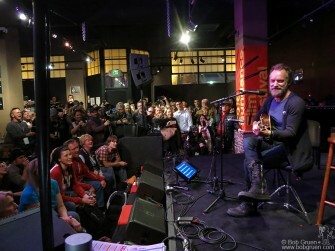 Jan 23 – Park City, UT – Sting put on a very intimate show at the ASCAP Lounge on Main Street during the Sundance Film Festival. Jan 23 – Park City, UT – Sting, his wife Trudy and J. Ralph backstage at the ASCAP Lounge. 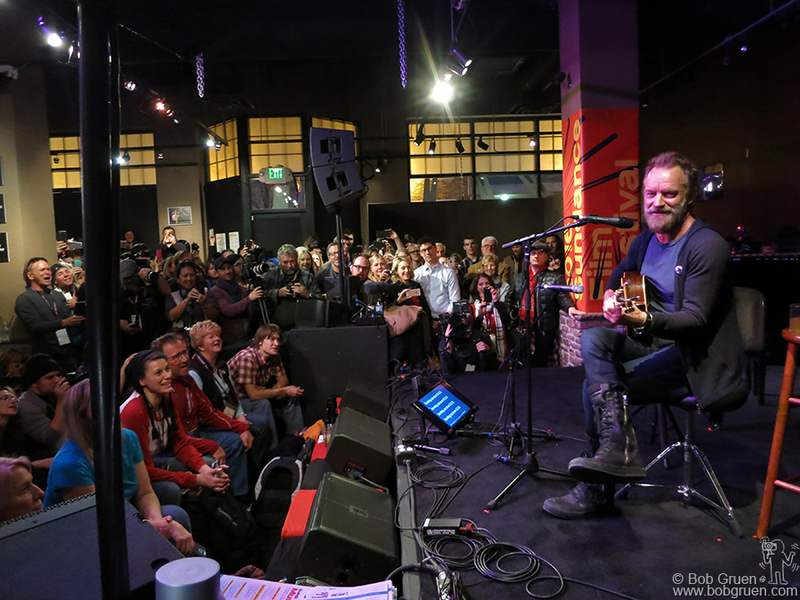 Sting and J. Ralph wrote the theme song for the film “Jim: the James Foley Story”. 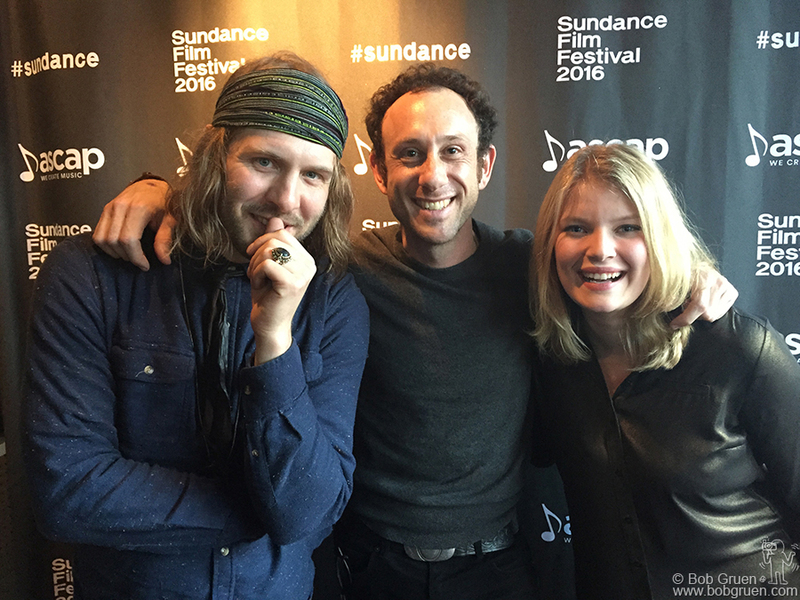 Jan 25 – Park City, UT – Daniel Blue of Motopony, Kris Gruen and singer Peppina, who all record for Motherwest Records, during the Sundance Film Festival after their shows at ASCAP. 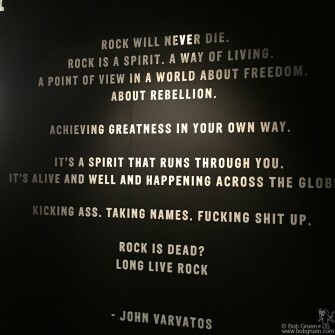 Feb 2 – NYC – John Varvatos quote on display during a very unusual John Varvatos fashion show at his store on the Bowery (the site of the former CBGB). 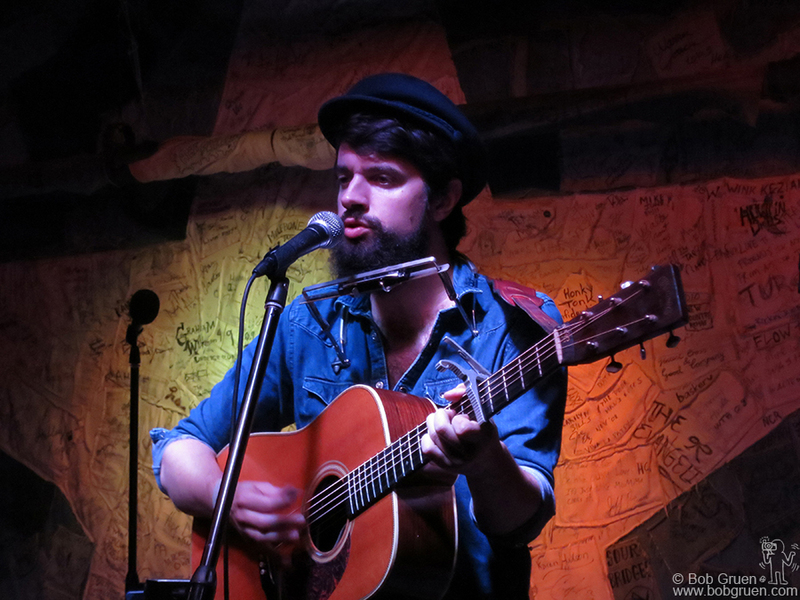 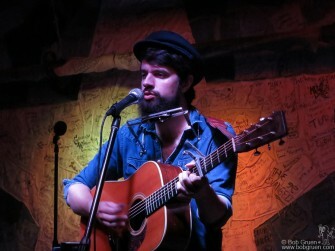 Feb 4 – NYC – Up and coming singer/songwriter Anthony D’Amato on stage at Hill Country BBQ. 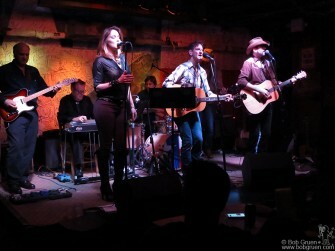 Feb 4 – NYC – Famed photographer Mark Seliger and his band Rusty Truck on stage at Hill Country BBQ. 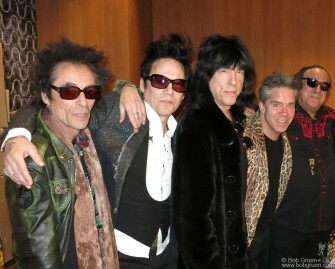 Feb 12 – NYC – Marky Ramone came to say hello to Earl Slick, Michael H, Andy Hilfiger and Arno Hecht during their David Bowie tribute concert at the Electric Room. 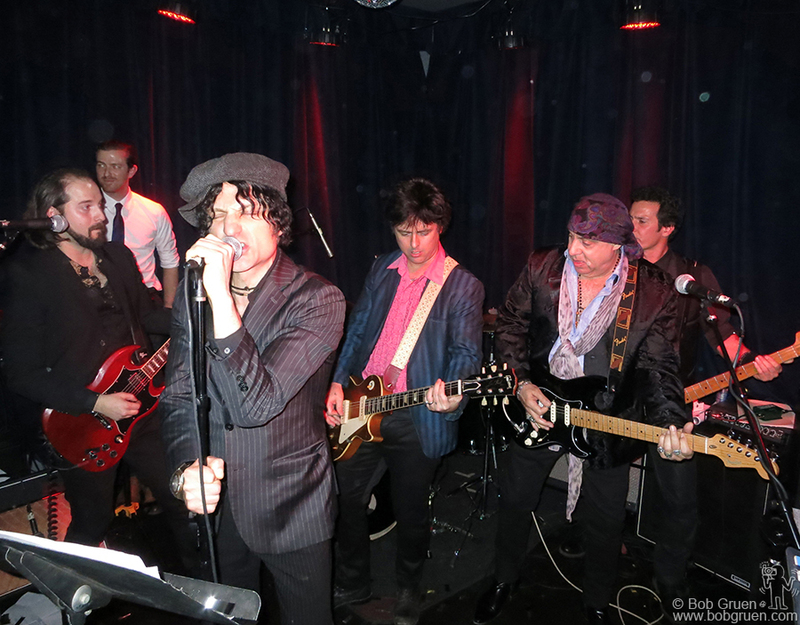 Feb 18 – NYC – Tammy Faye Starlite as Marianne Faithful is joined by her friend Marshall Crenshaw on stage at Pangea. Tammy is getting well deserved great reviews for her interpretations of Marianne’s life story. 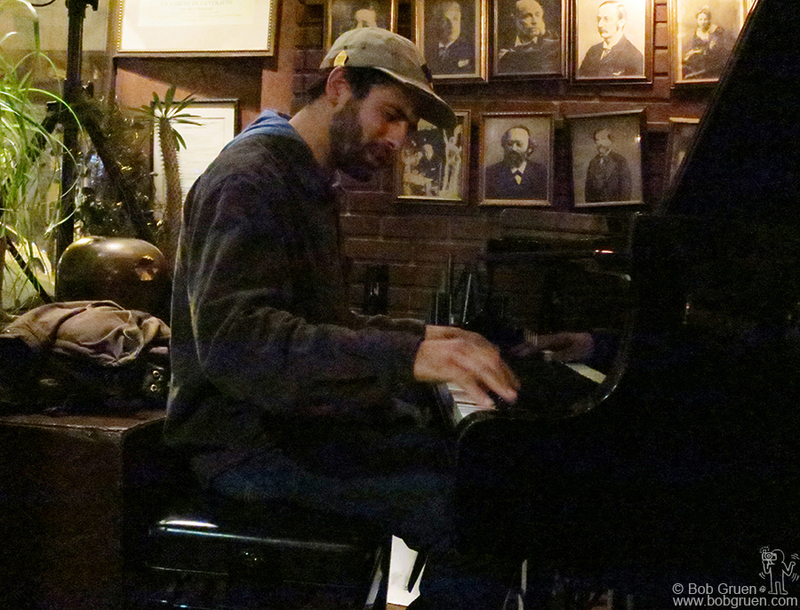 Feb 19 – NYC – JJ Beck played a moving set of his original jazz music at Indigo Cafe in Greenwich Village. 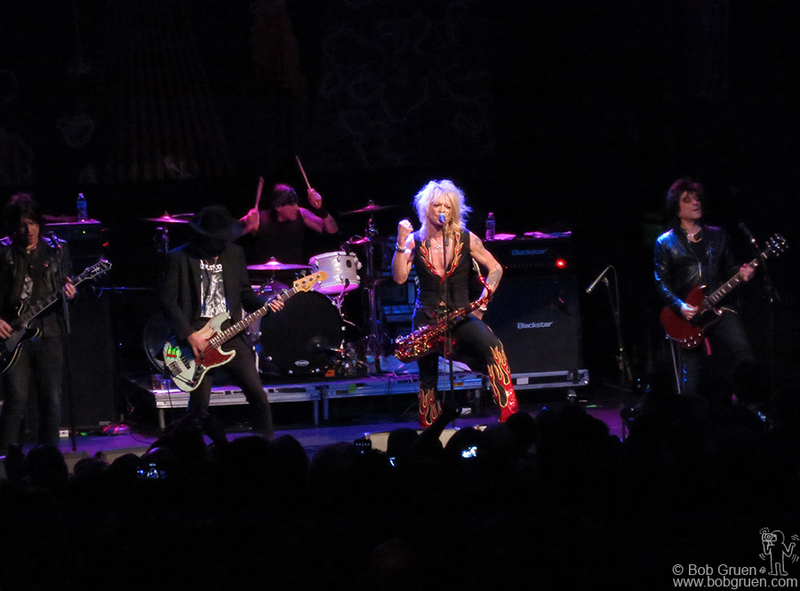 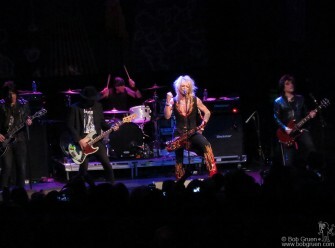 Feb 19 – NYC – Michael Monroe and his band, featuring Sammy Yaffa and Steve Conte on stage at Gramercy Theatre. 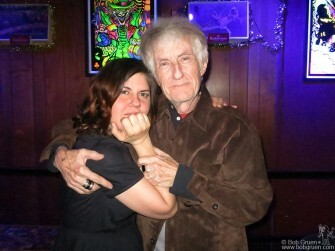 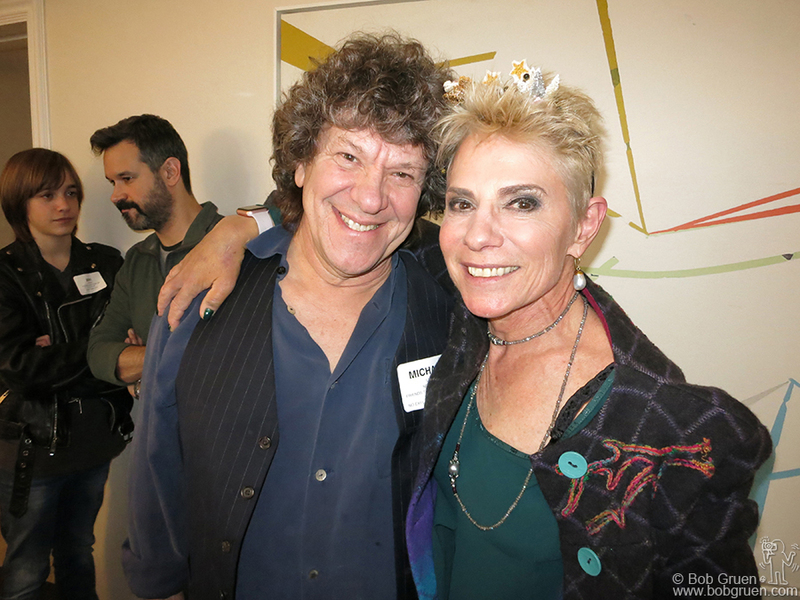 Feb 21 – NYC – Journalist Rona Elliot gets a hug from her old friend Michael Lang celebrating Rona’s birthday at the Essex House hotel. 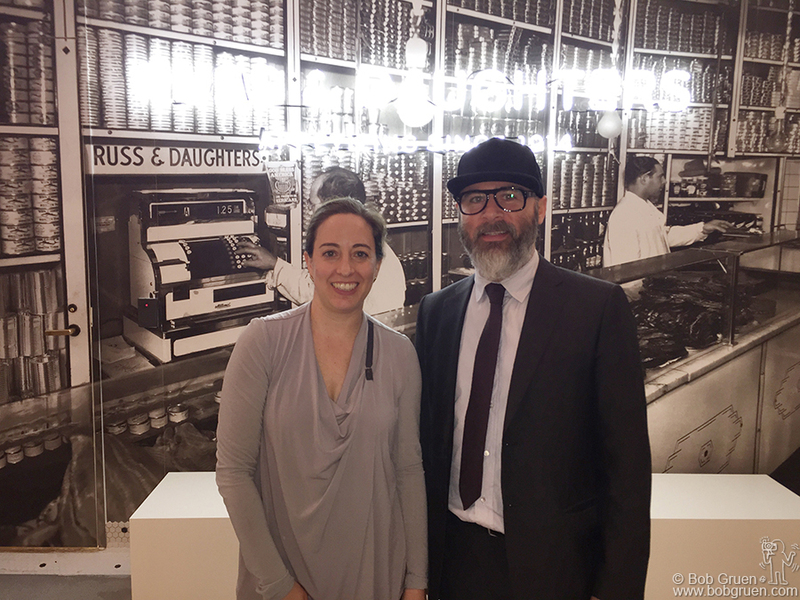 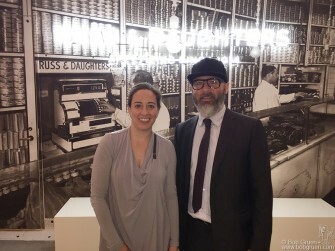 Feb 21 – NYC – Fourth generation owners Niki Russ Federman and Josh Russ Tupper celebrate the opening of the new Russ and Daughters cafe at the New York Jewish Museum. 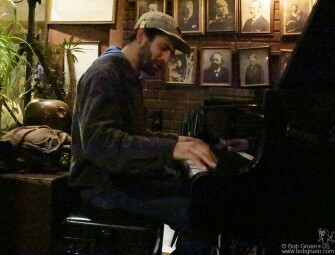 Stop in for a nosh! 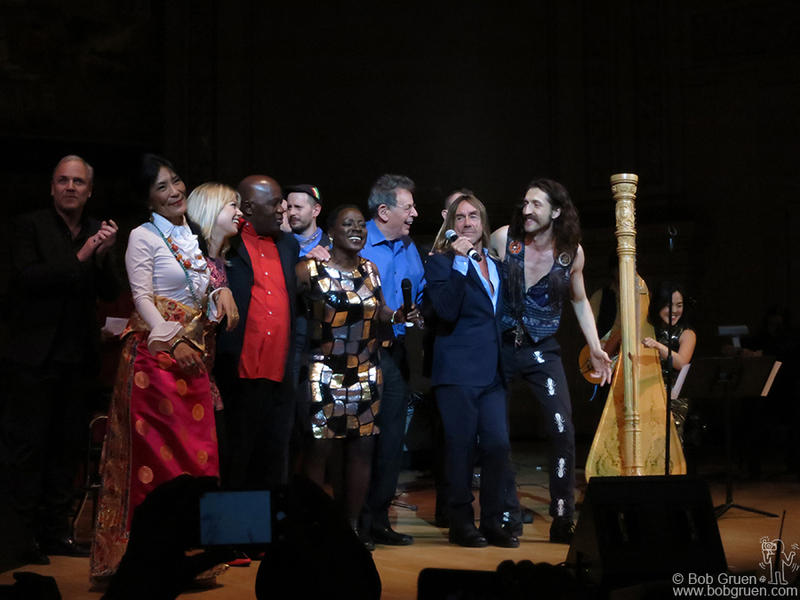 Feb 22 – NYC – Dechen Shak-Dagsay, Basia Bulat, Foday Musa Suso, Sharon Jones, Philip Glass and Eugene Hutz of Gogol Bordello join Iggy Pop to sing David Bowie’s ‘Tonight’ for the finale of the Tibet House Benefit Concert at Carnegie Hall. 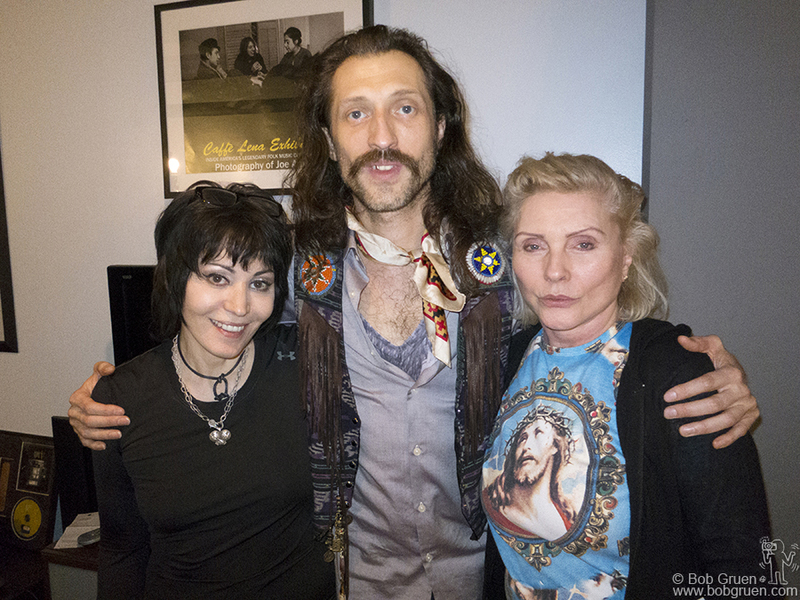 Feb 24 – NYC – Lucky Eugene Hutz of Gogol Bordello got to hug both Joan Jett, and Debbie Harry when he stopped by Magic Shop Studios where Blondie was finishing a new album featuring Joan singing backup on one track. 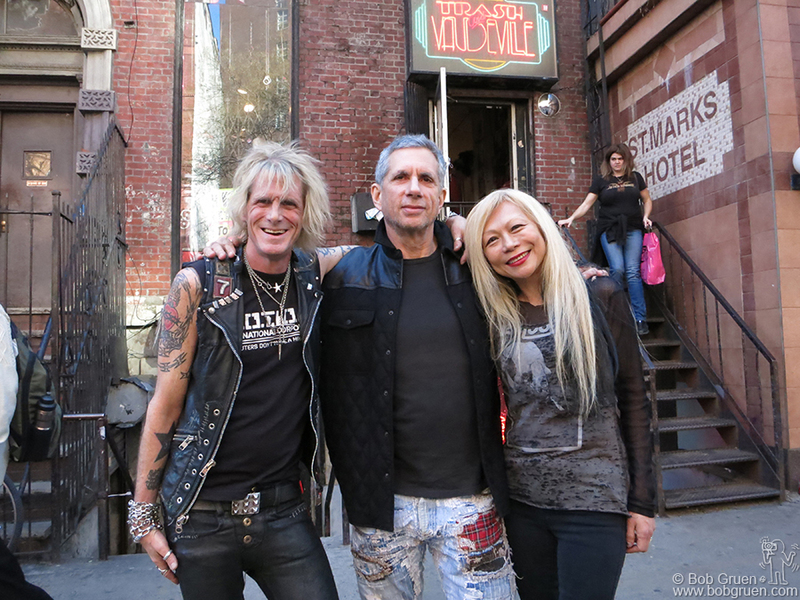 Feb 28 – NYC – Trash & Vaudeville manager Jimmy Webb with owners Ray and Daang Goodman out front during the store’s final day on St. Marks Place. 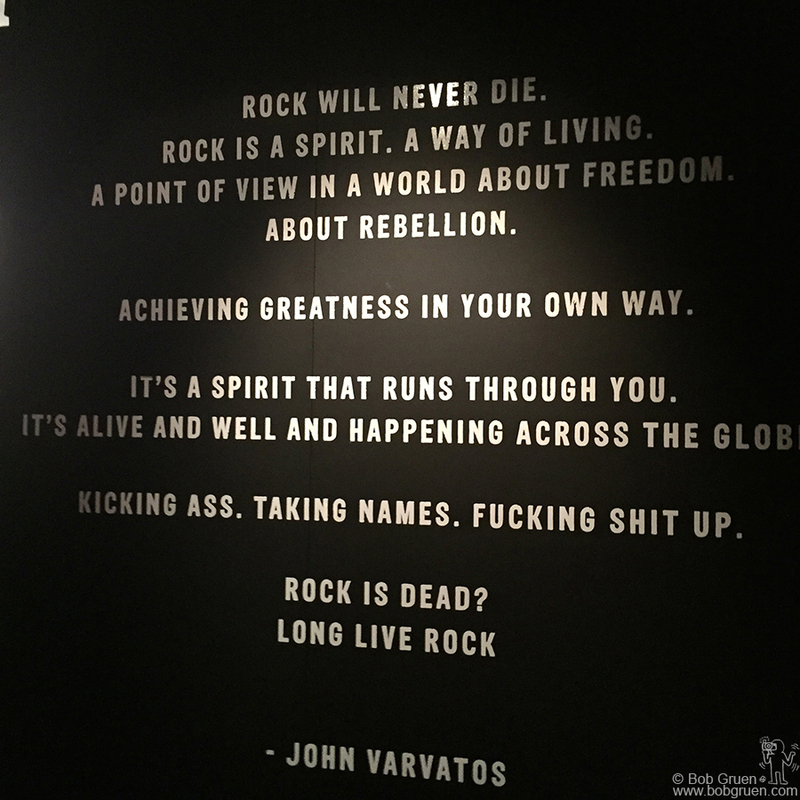 They are not closing like so many other stores in the neighborhood …. 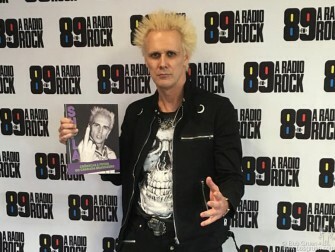 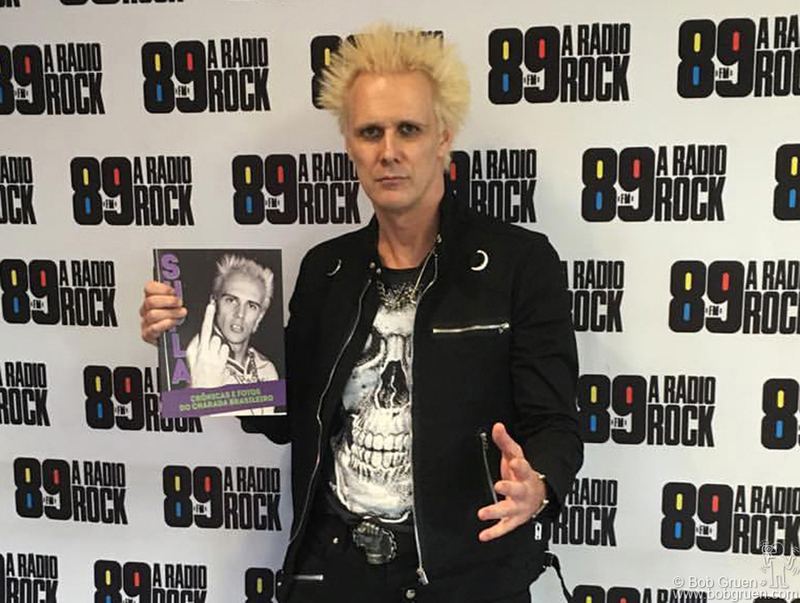 you will still be able to get their great selection of Rock & Roll clothes at the new location on East 7th St.
Sao Paulo, Brazil – Supla promoting the release of his autobiography ‘Cronicas E Fotos Do Charada Brasileiro’ with a Bob Gruen photo on the cover!